The story of ÉSOPHY, is the story of us, Sophia & Evdokia. We are two passionate and visionary professional chocolatiers, with a strategic marketing background coming from working for some of the largest FMCG & foodservice companies in Greece and abroad, that decided to follow our dreams & create the most inspired and passionate chocolate. So, we founded ÉSOPHY, and with it we established our philosophy of doing things. ÉSOPHY makes daily, the freshest chocolates inspired by the Mediterranean tradition, its abundant and fascinating flavors and its rich culture. All our chocolate recipes are designed in-house. Our philosophy is that every chocolate should unveil a memory, rooted in flavors that define true quality. Our boutique and in-shop kitchen is a light and airy space, based in the heart of Kifissia, in northern Athens, where our customers are able to watch the chocolates being made right in front of them. Our ideals are firmly rooted in our philosophy. We have a rule of ethics on how we work with our employees, our suppliers, our community and with each other. Since our inception, we are committed to work with ethos and integrity. 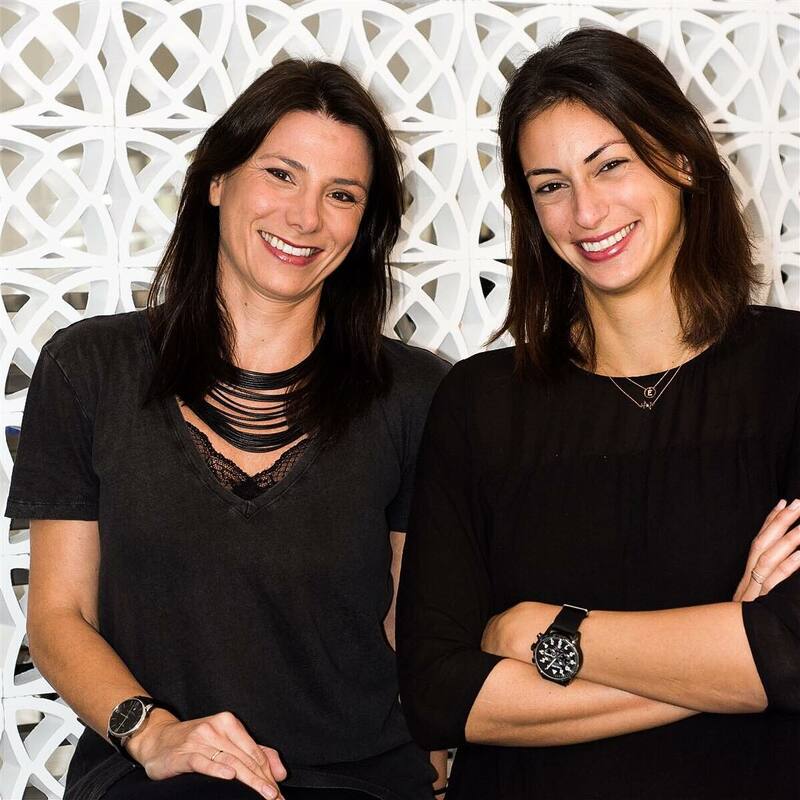 ÉSOPHY was founded by Sophia Dendrinou & Evdokia Liakou in 2017. ÉSOPHY, reflects our philosophy of doing things, and so does our chocolate. We believe that people are defined by their experiences. That’s why, we aim to serve unique taste adventures. We have brought the kitchen right into our shop so you can enjoy the making of chocolate – and experience it with all your senses ; see the sights, hear the sounds and smell the aromas of chocolatiers at work. Watching the chocolate making process, is a fascinating and somewhat intoxicating experience. All our products are created by hand, in our workshop, with care and enthusiasm, so you can enjoy them fresh and taste their ingredients at their best, and always in season. We select the finest chocolate based on the characteristic flavors we want to give to each recipe. Chocolate should be appreciated with all your senses. We suggest you avoid any strong flavors before, in order to have a better ability to detect subtle notes. Look: First, look for a glossy shine chocolate, free of any cracks. Listen: Then, break a piece! You should hear a clear “snap” sound. Touch: Hold a piece and notice how quickly it melts. Rub your fingers to feel its smoothness. Taste: Taste is about 75% of smell, so take the time to breathe in the unique aromas of each chocolate. Over 600 aromas can be discovered in fine chocolate. Let the chocolate slowly melt on the tongue discover the mouthfeel and the texture each chocolate gives you. Notice the lasting flavor in your mouth. This “finish” can stay with you for several minutes after the chocolate has melted. The key is to take it slowly, so you have a better understating of the kind of chocolate you are tasting. Enjoy: The most important thing is to find the chocolate you like the best, according to your own taste. Chocolate is the most exciting food on the planet, and the strongest word in the dictionary. Chocolate inspires us because it carries values of warmth, smoothness, passion, enjoyment, richness and love. So does the Mediterranean. That’s why we decided to bring those two worlds together and create chocolates inspired by the Mediterranean area! That’s how we create our recipes, which are made with fresh, natural ingredients and we don’t use added sugar or alcohol – a natural preservative that is often used to extend the shelf life of chocolates. Whether it’s pistachio from the island of Aegina, mastic from the island of Chios, figs from Kimi, hazelnuts from Piedmont, oranges and lemons from Crete, basil, lavender and mint from Peloponnese, all our ingredients are meticulously selected from local producers in the Mediterranean area. Then they are combined in the most inspiring way to complement and enhance each other and create a memorable tasting experience.